In July 2004, New Originals founder and guitarist Paul Crane assembled a motley crew consisting of bassist Paul Gil and the first of many drummers to launch a live band karaoke night at Magnetic Field (R.I.P.) on Atlantic Avenue in Brooklyn. Steve Reynolds stumbled into the bar eight months later to sing some Cheap Trick and became the band's MC in October 2005. And Scott Treude finally put a stop to the rotating cast of drummers in August 2007. Somehow Bunnie England & The New Originals have made it to 10 years old. 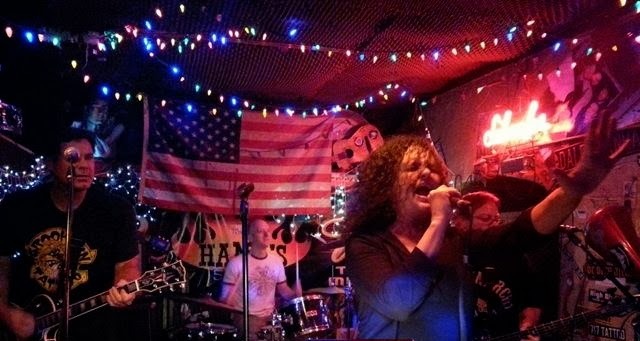 Knee issues, back issues, high blood pressure, surfing injuries, stifling allergies and even the closing of two venues hasn’t stopped them from bringing their loud and wasted brand of live band karaoke to the masses. So please help celebrate their 10th anniversary... It’ll be a special night you won’t want to miss!